Monday was the the first day of Summer (although it did pour with rain...typical!) and with Summer comes Summery foods - YES! I love Summer foods - delicious salads, cold pasta dishes, fresh fruit, amazing smoothies and best of all....ice lollies or ice creams! 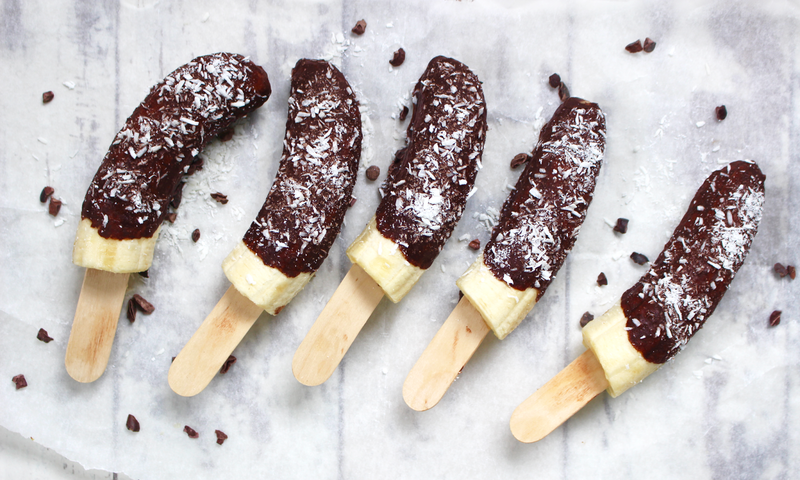 Being on a plant-based diet it can be difficult finding ice-creams but these banana pops are the perfect alternative; they're super easy, super quick and of course super delicious. This blog post contains a paid advertorial from ICON but all opinions are my own, as always. 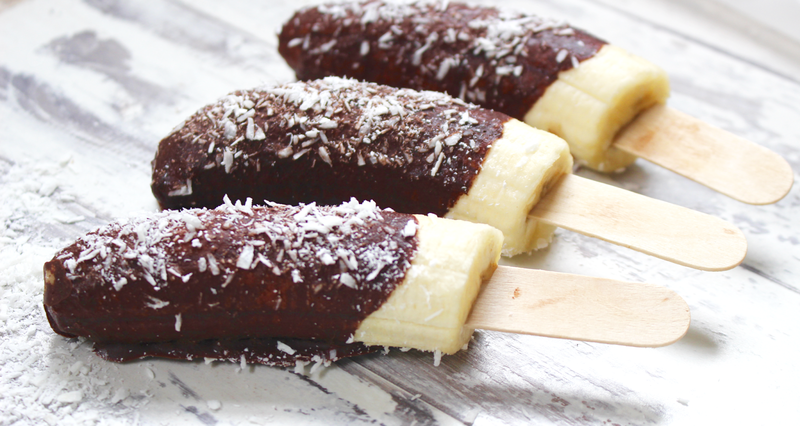 The banana acts just like ice cream when frozen, it's so creamy and sweet. 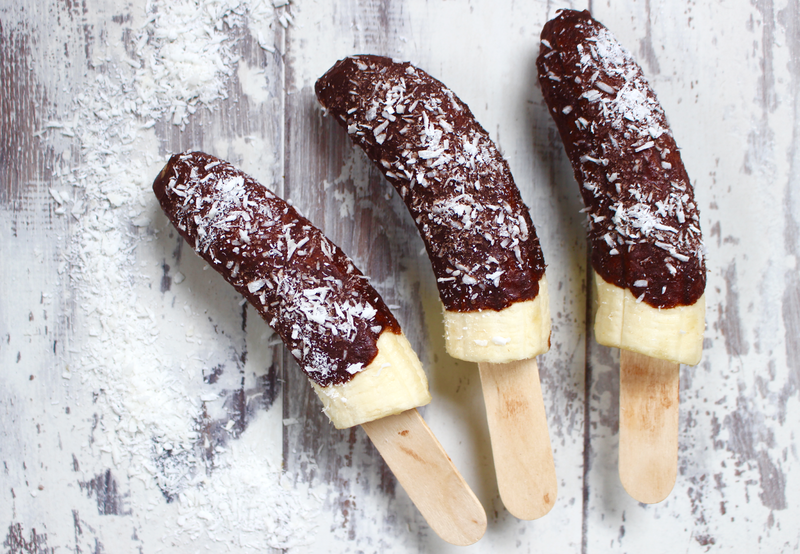 The smooth chocolate coating alongside the creamy banana and desiccated coconut sprinkles is a match made in heaven and every bite just melts in your mouth! The chocolate coating may not look the healthiest but it's actually packed full of superfood goodness! It's made using a mixture of raw cacao, honey (you can sub maple syrup) and coconut oil. The cacao is loaded with antioxidant goodness, iron and magnesium, the honey is a natural sweetener that won't spike your blood-sugar levels and the coconut oil is going to give your body a boost of healthy fats for clear skin, shiney hair, a healthy heart and immune boosting properties. 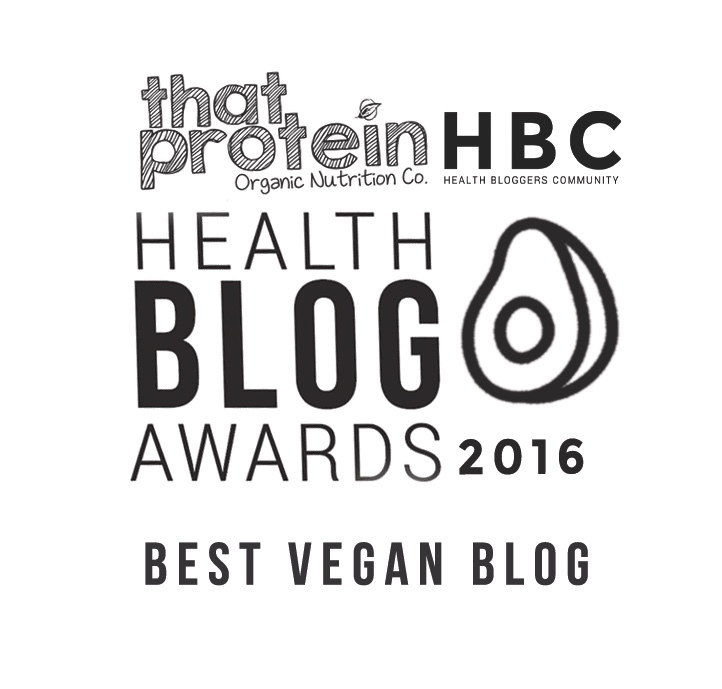 I used a brand new coconut oil from the company ICON Nutrition and I was really impressed! 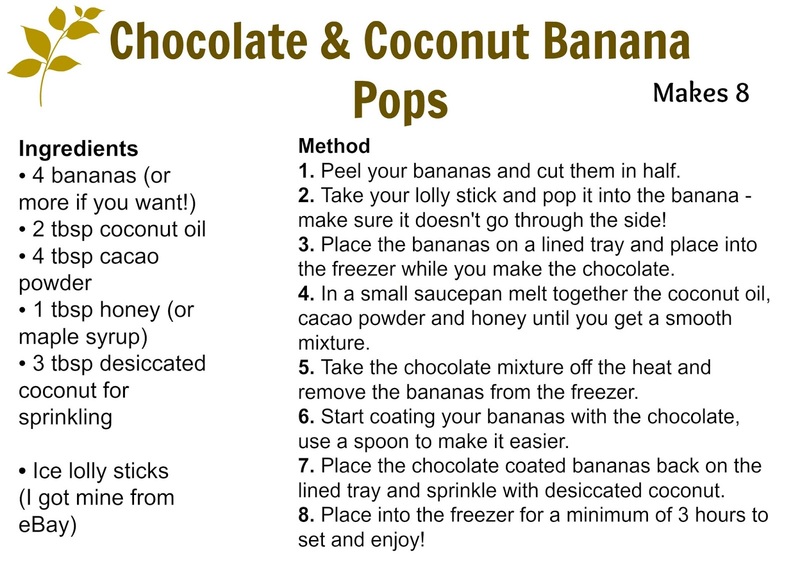 Some coconut oil can be too soft and therefore doesn't work well in recipes like these as it doesn't set but ICON coconut oil has the perfect consistency. 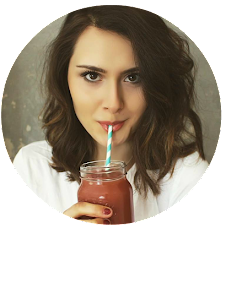 It's also completely unrefined, raw and cold-pressed so all the essential nutrients are locked in and ready to do your body some good! Coconut oil is one of my favourite things and it's a food I encourage everyone to purchase, not just because it's essential for making these delicious raw treats but it's loaded with nutritious goodness to boost your metabolism, reduce your risk of heart disease, prevent diabetes and even has happiness-boosting properties. Coconut oil is amazing for your body, your skin, your hair, your nails, your brain and your mental health - what's not to love?